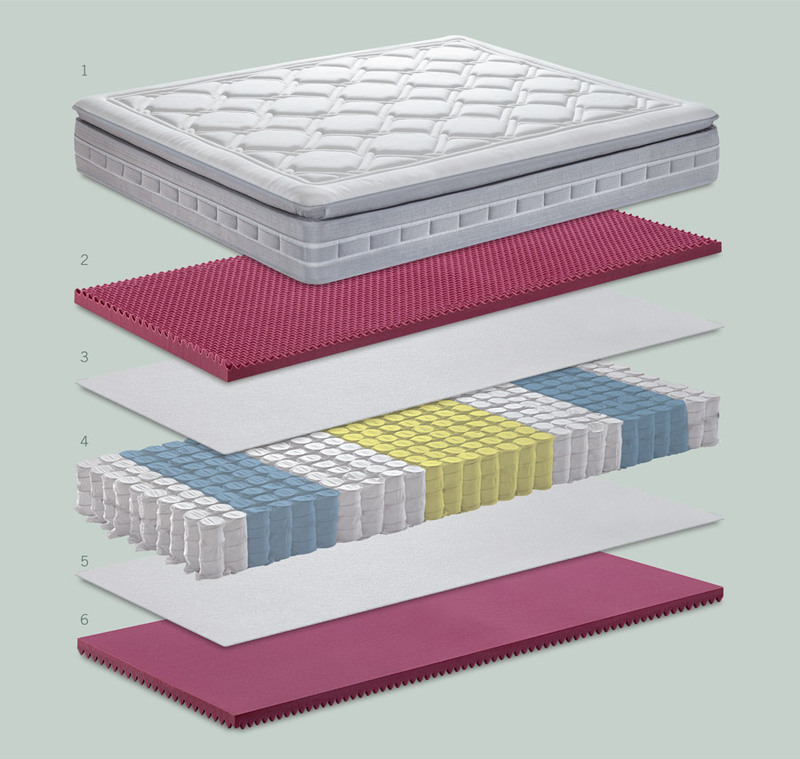 Animo Pillow Top is the mattress with independent springs, characterized by a sprung base and a “Pillow Top” layer which guarantees a soft, welcoming surface. The multi-handle band completes this ergonomic and accurate design project. 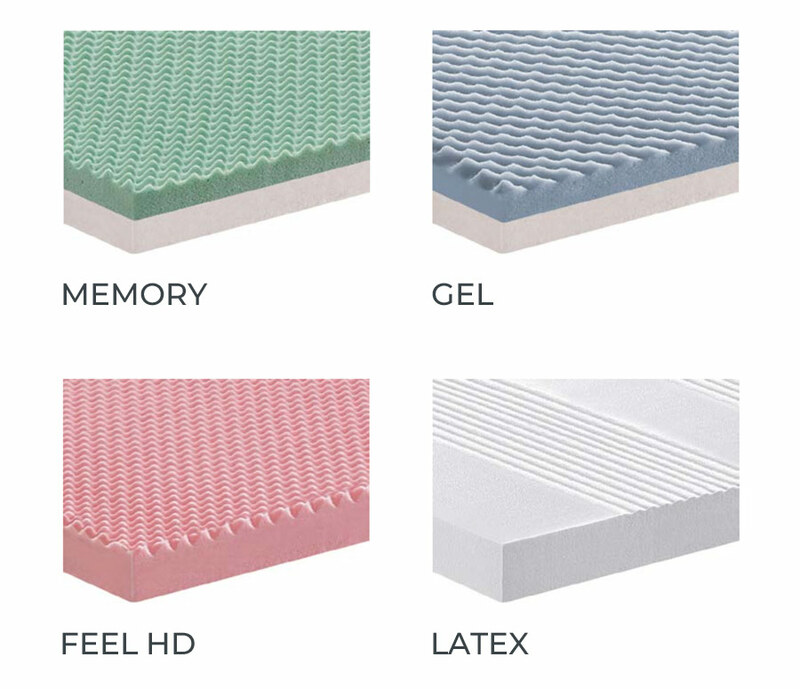 Available with a Pillow Top in 4 versions: Feel HD, Soy Memory, Pulse Latex or Gel. 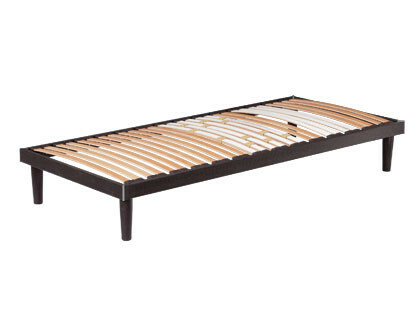 The Animo Pillow Top mattress with independent springs is a mattress of high artisanship with exclusive features. 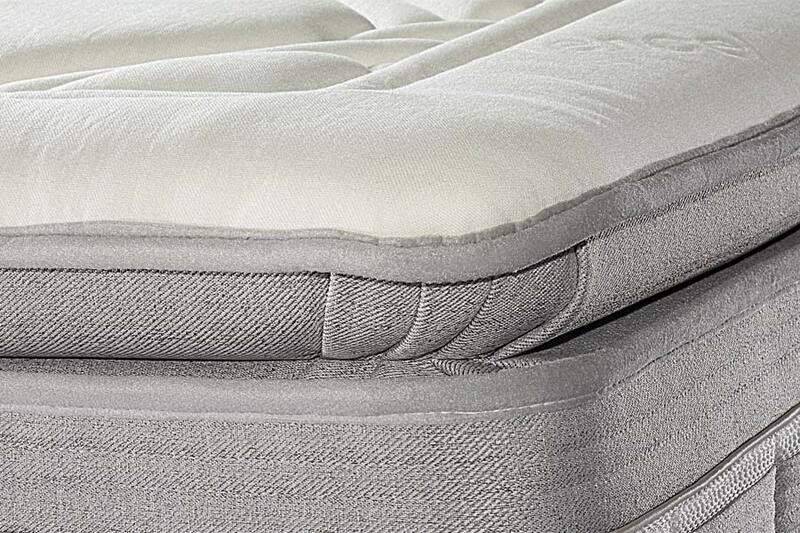 The quilting recorded exclusively by Manifattura Falomo expresses the maximum sensation of softness and comfort thanks to the 3D Tencel™ fabric: this fabric is the excellent result obtained by joining Tencel™ fiber with a three-dimensional fabric technology. 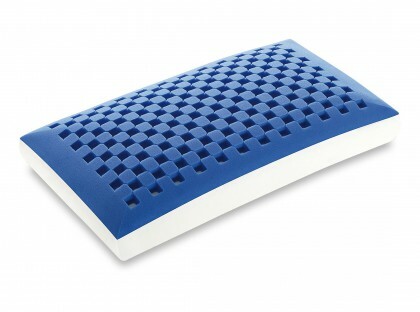 External cover in Tencel™ 3D. 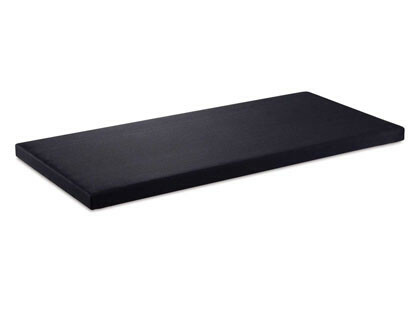 Foam layer with high load-bearing capacities placed above the box. Highly performing and balanced for adjusted and optimal support for every build. The new and exclusive design by Manifattura Falomo, 3D Tencel™ (registered model n. 0003462217) expresses softness and comfort to its maximum. 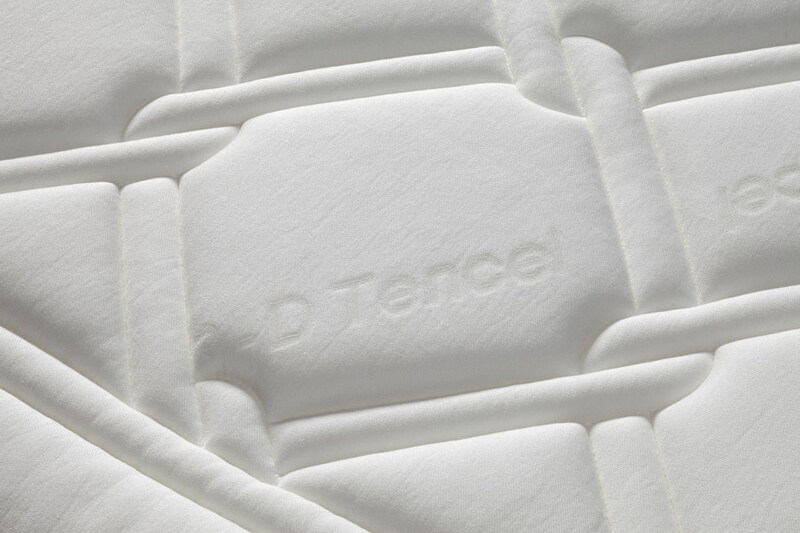 Comfortable and practical overlapping layer that provides excellent comfort, upholstered in Tencel™ 3D fabric with padding available in 4 versions: Feel HD, Soy Memory, Pulse Latex or Gel. 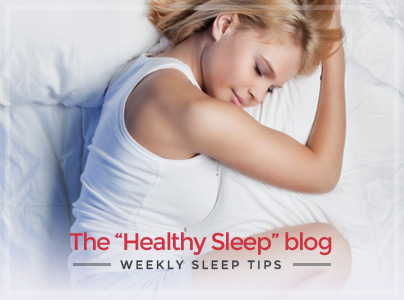 “Cozy” Memory version made with an inner core of Soy Memory Touch. “Elastic” Feel HD version made with an inner core of soft Feel HD. “Natural Push” Pulse Latex version with a highly breathable natural core. “Exceptionally soft and elastic” Gel version with Physioclima temperature regulating gel. 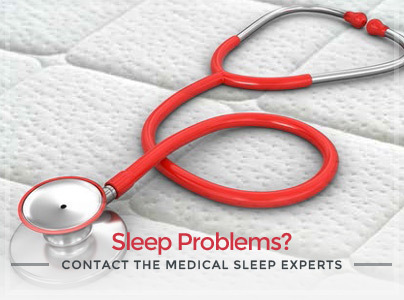 Ergonomic design handles that allow easy rotation of the mattress easily. 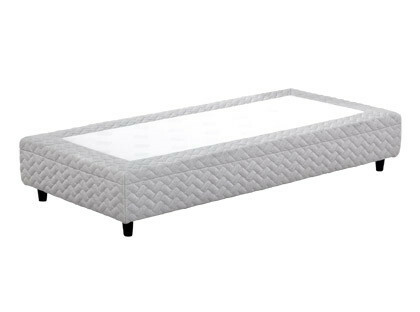 An item of quality furniture, also customizable to match your pocketed spring mattress Animo Pillow Top perfect for enhancing its features. 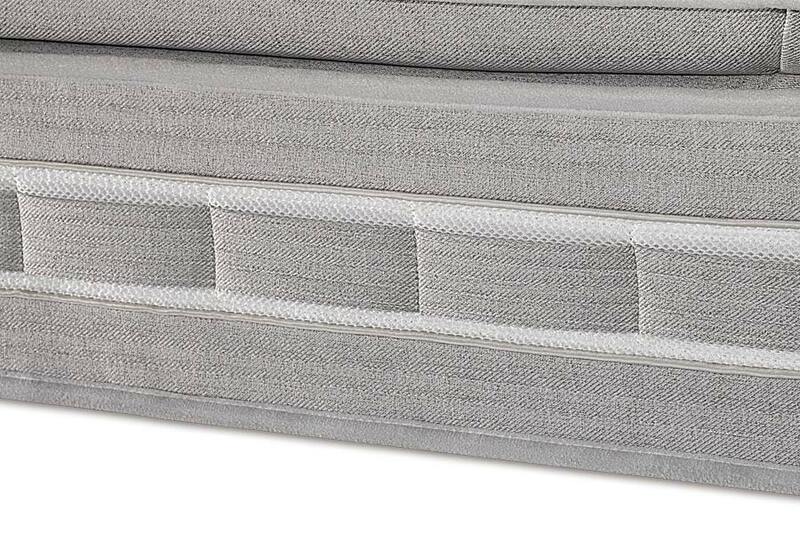 BoxSpring is a bed with 7 springiness zones made of 400 pocketed springs (single size) and allows to have a liner matching Animo Pillow Top.